Link Engine Management have been busy lately working on some major product changes and revisions to their wire-in ECU range. First we saw the release of the all new G4+ Fury ECU in April 2015 and now we are pleased to report that there is a new version of the G4+ Xtreme ECU. The new Link G4+ Xtreme Black ECU now comes in a black die-cast enclosure and this new model replaces the previous red G4+ Xtreme and also replaces the Vi-PEC i88 ECU. So what’s changed, and why? The main differences involve the optional feature upgrades. 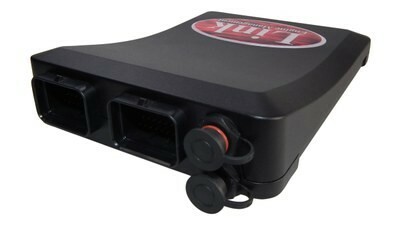 The previous red G4+ Xtreme had optional paid upgrades available for e-throttle control, closed loop knock control, data logging and OBDII. These upgrades ranged between £80.00 and £159.00 each, so enabling a couple of these features quickly become quite pricey. Furthermore, there was confusion out there with some people thinking that the red Xtreme came with these features enabled as standard. To offer better value and to avoid all confusion, the new G4+ Black Xtreme comes will all of these features fully enabled at no extra cost. Another significant difference is that the G4+ Black Xtreme now has peak and hold injector drives, which allow low impedance injectors to be used without the need for ballast resistors. The specifications of the new G4+ Black Xtreme are basically the same as the flagship Vi-PEC i88 ECU and accordingly, the i88 has been discontinued. The new black Xtreme is priced at £1113.00 + VAT, so it offers a massive saving over the i88 and only a modest increase when compared to the old red Xtreme. When looking at it from a value for money point of view, we think that the new black G4+ Xtreme is a winner. 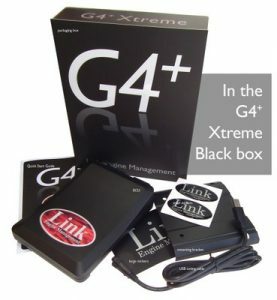 For further information, please refer to the Link G4+ Black Xtreme product page.